Group Art Exhibit for Bachelor of Fine Art graduation show 2010. "Cacophany" a discordant mixture of sounds. Each student created their own work individually and it was collabaroted as a complete Art Exhibit. 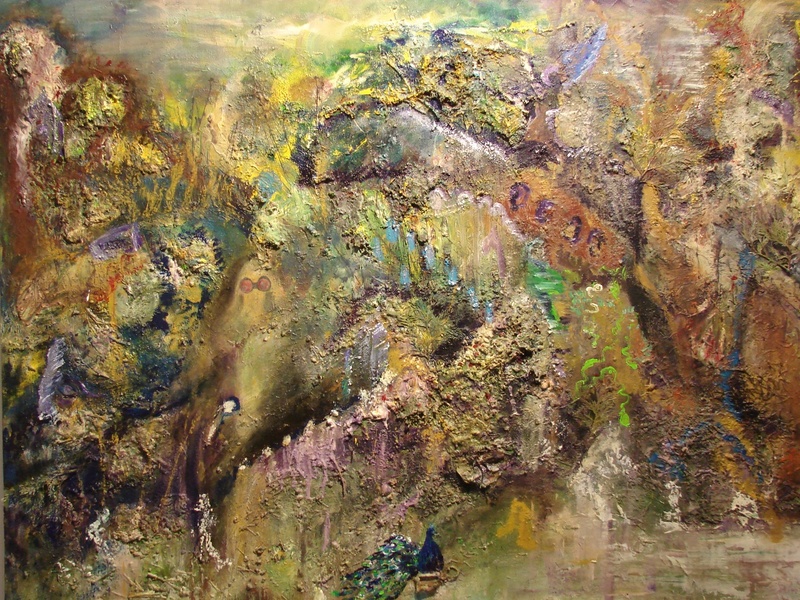 The art work by Suellen Evoy-Oozeer's contribution to the B.F.A. Art Exhibit "Cacophony" was inspired from speaking,laughing,crying and listening to friends,who are First Nation Ojibway Elders from Kettle Point & Stony Point. 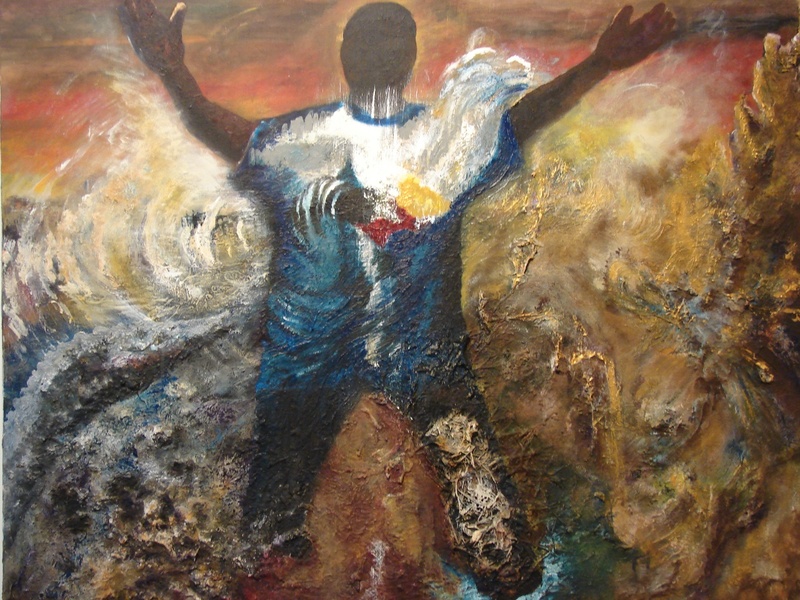 She heard stories made recordings,painted portraits,did collaborative art works. Also She did a stone ceremony for healing by the site of Dudley George's death. Humbly with honour She participated in a sunrise ceremony for the peaceful journey of Dudley George who was killed trying to reclaim his ancestors land. The purpose of sharing their stories with the Collabaroting Artist,was with the intention of healing and understanding. 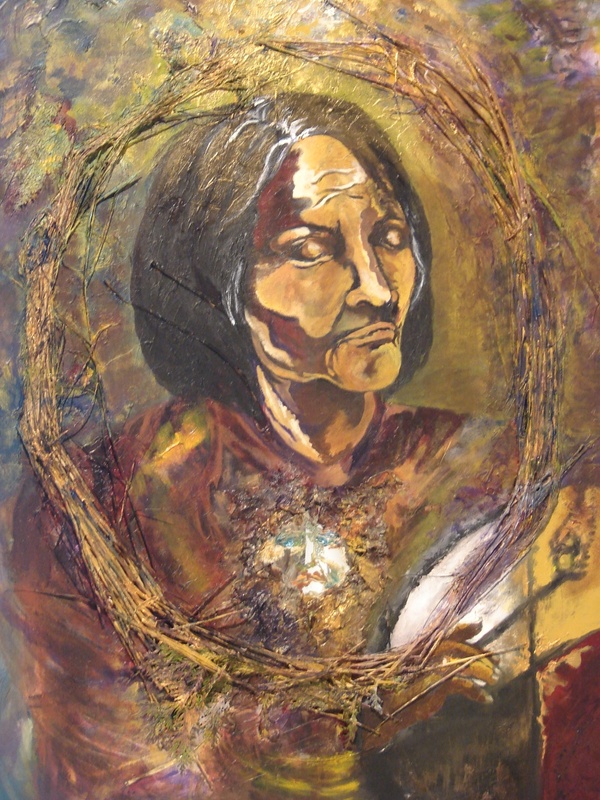 The portraits "Soul Sista","Ceremony" & "Mother Nature" displayed were done by Suellen Evoy-Oozeer of First Nation Elders of Kettle & Stony Point. 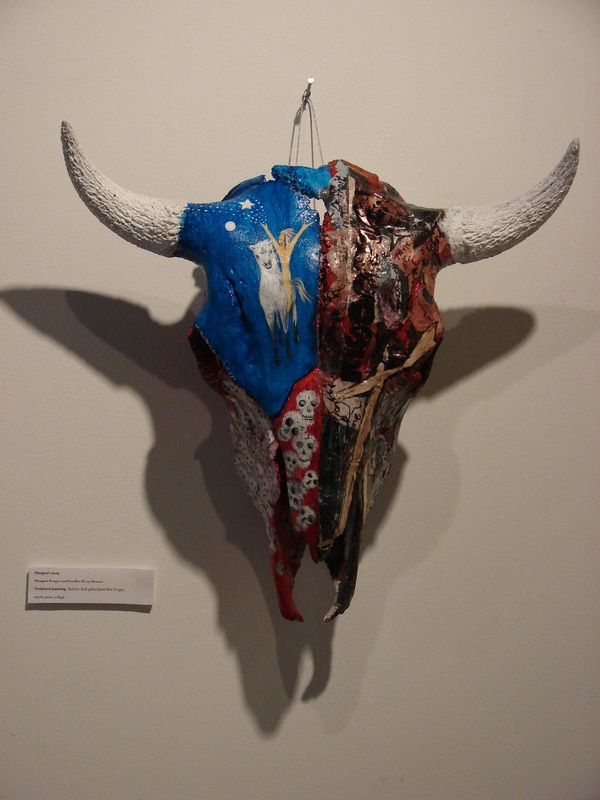 The Buffalo head " Margret's Story" was painted by Margret Pouget on left and Suellen Evoy-Oozeer on right. 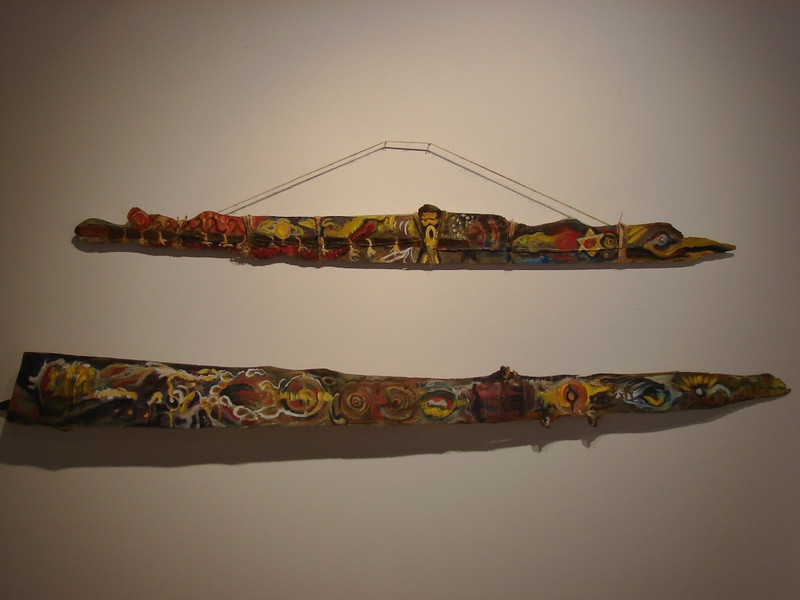 The work "Hidden" is a collaborative piece based on stories shared with by Elders of Kettle & Stony Point. 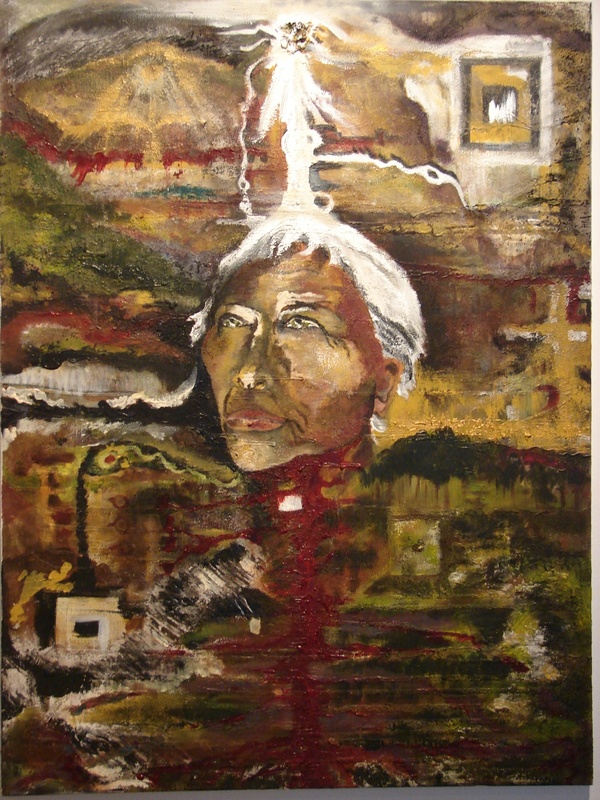 This piece expresses Elders feelings,beliefs,history and has an image of a woman with binoculars in left centre done by Margret Pouget....Suellen completed the piece using healing plants, layering of images,highly textured showing the complexity of the "Hidden" reality shared with her by the Elders. The portraits have been gifted back by Suellen to The Elders in appreciation for the things they had shared and a small gesture to give back what had been taken from them.